Product #5951 | SKU CSS-105RR | 0.0 (no ratings yet) Thanks for your rating! The Hosa CSS105RR Balanced Interconnect Cable (5ft) with dual right angle connections. 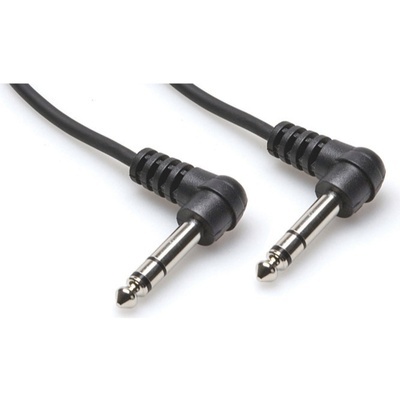 This cable is designed to interconnect pro audio gear with balanced phone jacks. Right-angle plugs on both ends allow easy access to jacks with minimal clearance.